Sometimes the artist's background can be as much amazing as his/her artwork itself. So, it is with great pleasure that www.BlenderNews.org introduces to you the winner of the Render of the Week Award for the week of August 28, 2017: Matej Balážik. My name is Matej Balážik, I am from Slovakia and I am 32 years old. I have been working with 3D from 2004 till today. I was always passionate about creating something. 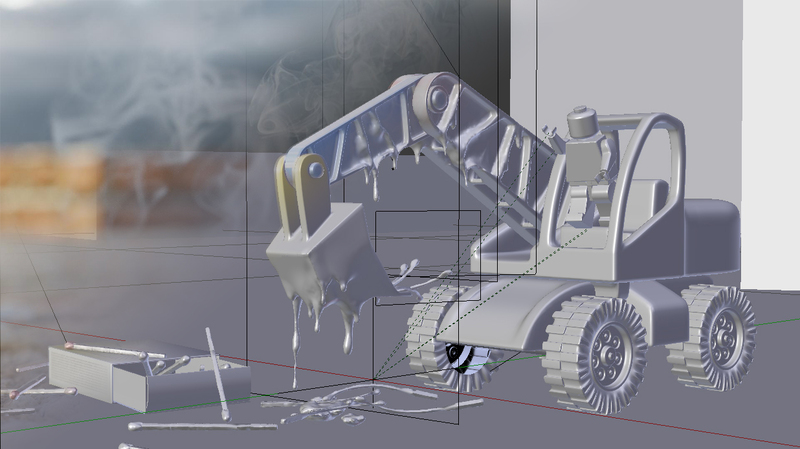 At first, it was 3D Studio MAX, but I immediately fall in love with Blender in 2012, when I got my hands on it. I'm currently working as a marketing manager for middle Europe in Germa company DEKRA. About "Trouble at the Playground:"
This artwork was created using Blender Cycles. At first, it was a modeling exercise and a shader test, but as I progress, I started to like that idea. I used techniques such as microdisplacement, HDRI lighting, sculpting and several PBR shaders. 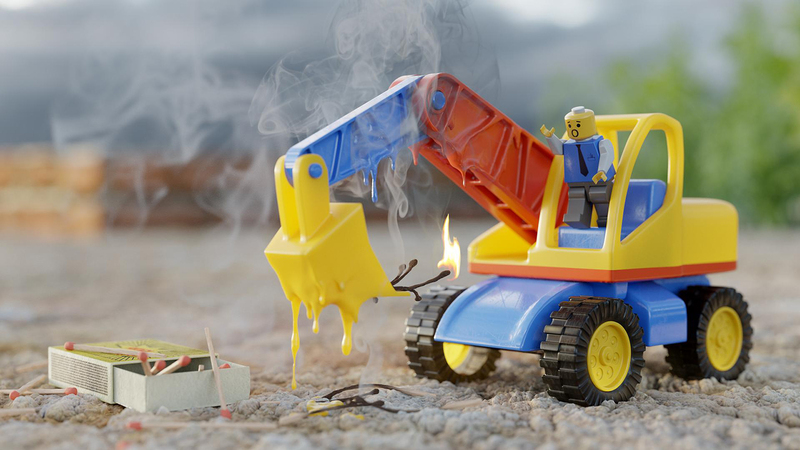 It tells a story of an unhappy lego man, who underestimated the power of fire.